A common misperception of inbound marketing is that it operates in a vacuum, as if every other type of marketing should be discarded. If you are evaluating or are ready to embrace inbound marketing, you might think that it will replace everything else you do today - not so. Much of inbound marketing has evolved from the best practices of integrated marketing campaigns and direct response database marketing. 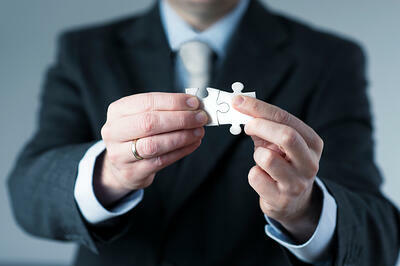 Integrating already winning tactics into your inbound marketing strategy will make it more effective. The following six elements are essential to a winning inbound marketing strategy. You will notice that several of them are also essential to more traditional integrated marketing campaigns. Who is your target audience? Drafting accurate buyer personas that stand for each segment of your audience will enable you to view your communications through their eyes. Once you have accurate, in-depth personas, you will be ready to map their journey from stranger to lead, market-ready prospect to sales-ready prospect, to customer. Remember that in addition to prospective buyers, you will need to attract and engage industry specialists and influencers. They are also important members of your audience. The better you understand the people in your audience, the better you will be able to speak directly to them. 2. Create a plan of engagement. Unlike the “engagement devices” employed in direct mail for many decades, engaging customers with inbound marketing means giving your audience ways to speak to you and their circle of influence. Engagement activity should also promote social sharing, so even your followers/subscribers can become your ambassadors. 3. Build a website to serve as your lead generation foundation. Your website needs to appeal to your target personas, no matter what device they choose to view it on. That’s why savvy inbound marketers use responsive websites that are built optimized for mobile devices. To generate valuable leads that convert to customers, you will need to create remarkable content for each persona on each stage of their journey. That content may come in the form of white papers, eBooks, case studies, videos, infographics, and cheat sheets that your personas are willing to exchange their contact information to get. Email is not one of the glitzier elements of inbound marketing, but it has the highest ROI in generating revenue for companies. With the notable exception of buying lists, you should collect contact information relevant to your database everywhere you can. In addition to your website, trade shows, conferences, and other targeted events that you sponsor or attend should be leveraged to build a robust email marketing database. Once you build this contact list, you can engage those with a follow-up email to continue your conversation. 5. Track prospect engagement and use the data to refine the strategy and improve tactics. Tracking prospect engagement has been around since the dawn of database marketing, but inbound marketing has taken the practice to new heights. Today, the tools are there to track prospects in order to measure the effectiveness of your offers, landing pages, calls to action, blog posts, and social media engagement. Use them well and you will understand what’s working and what’s not. That knowledge will enable you to continuously refine your inbound marketing strategy and improve both engagement and ROI. 6. Review and refresh your brand. Is our brand still relevant to our target prospects? Will the way we communicate change the nature of the relationships we forge? How can we improve our brand position? Is our company name still vital, or should it be changed? What do we need to do to make our visual identity attract and resonate? If your company is puzzled by what it takes to create a winning inbound marketing strategy, we’d be delighted to put the pieces together for you. We’ve created a B2B case study showing how integrating these six elements paid off big for a tech industry newcomer.